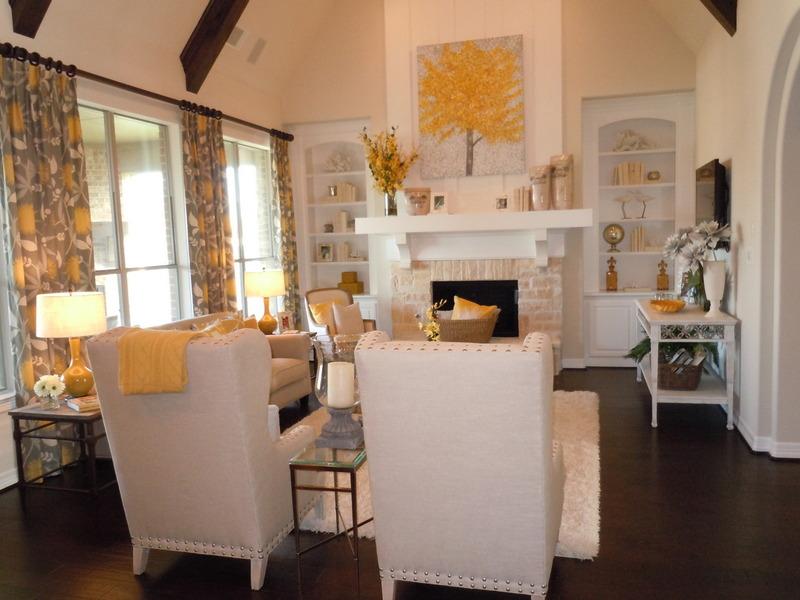 You may remember that last year’s color of the year was Mimosa, a warm sunny shade of yellow. At IBB, we love color. 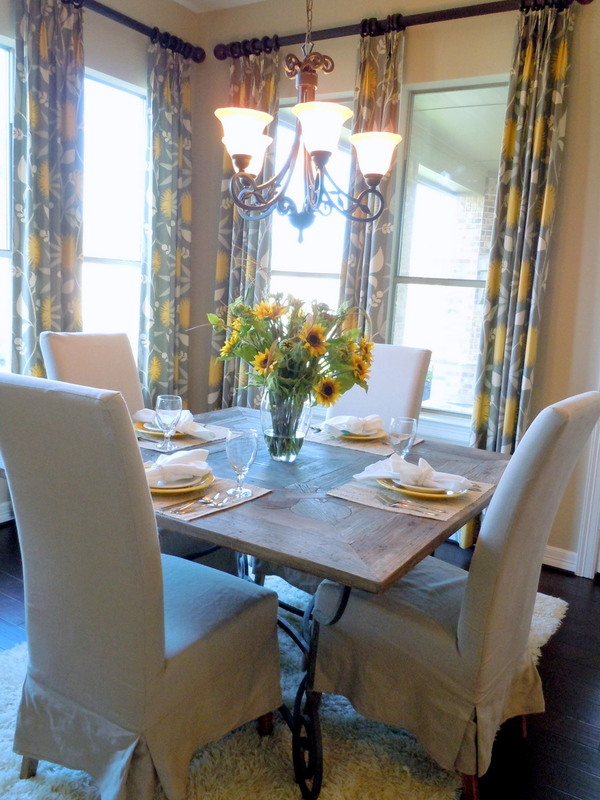 There’s nothing better than seeing neutrals come alive with beautiful pops of color. 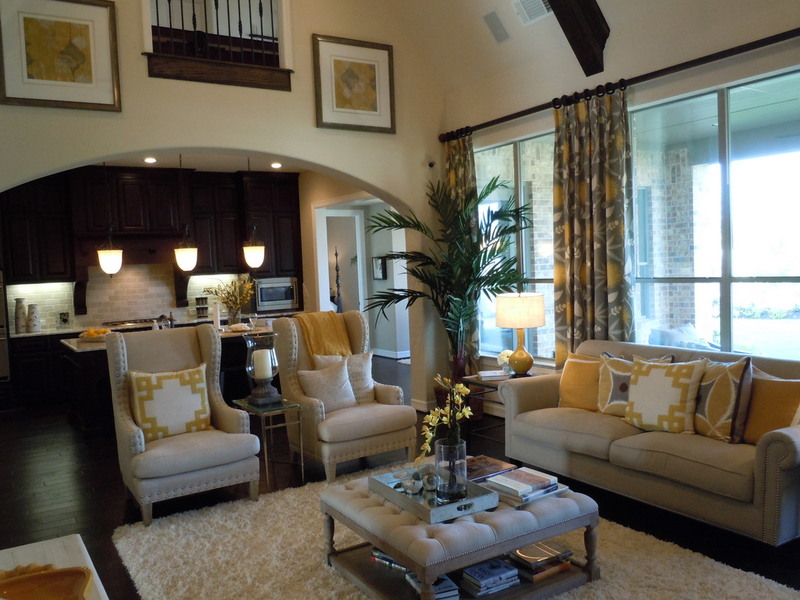 Yellow can instantly make a home feel bright & welcoming. The tufted ottoman coffee table is by Aidan Gray. I love the shelf at the bottom that allows for extra storage for books, magazines, or a basket to hide your remotes. Pillows with yellow & gray prints make a splash on the sofa & wing chairs. The neutral stone gray wing back chairs are by Century. The art over the fireplace may be my absolute favorite part of the room. It brings so much life & color to the space & really draws your eye up. We used a lively yellow & gray print from Duralee on the drapery panels which were designed by our drapery designer Gilda Wood. The breakfast table is also by Aidan Gray.